I have outlined all six of my books! I know so many who don’t, claiming it stifles their creativity, but I like to know I have a solid story first before writing the whole story. Well done. True creativity, which is, all in all, ‘metaphysical courage of w(h)o/andering’, can’t be spoiled by and isn’t afraid of anything. Good post. I know several fiction writers who use outlining and character journaling too. Outlining helps them stay on track and character journaling helps them get to know the characters on an intimate level. I admit, I’m a far better writer than I am an outliner. I’m of the King school of just picking up the fossil and taking a brush to it to see where it goes. I would, however, like to change this. 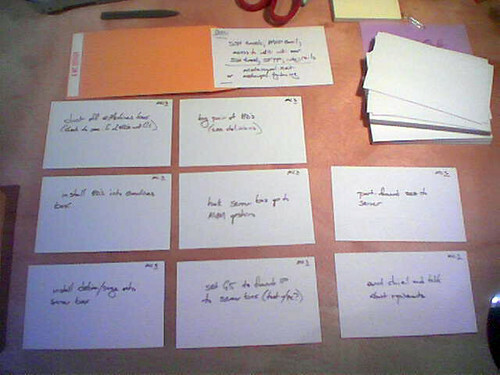 I think outlining a novel is the right thing to do, I just have a lot more fun figuring it out as I go along. I am an outliner for both fiction and non-fiction. For me, outlining is like making a line drawing. The color and shading (writing and editing) come later, but without the basic line drawing to keep me on track, my story would go all over the place. I have found that when I have more in-depth character studies, the plot sometimes veers off in its own direction as the characters take over. This was a wonderful discovery for me, but I have to make sure they don’t do anything too wild – this is where the outline comes in handy – it allows me to pull them back into line. Speaking of tools, I recently discovered MS OneNote and find it very helpful for keeping track of all the different bits of information I need to write my novel (character notes, historical dates and facts, etc.). Thanks all. I do think outlining is an individual decision and process. Diane – wow, that’s great to know! I’ll have 6 in a few years time at this rate! Patti – character journaling is something I may have to try. Sean – you obviously have a different mind to me! I have read that King just sits and writes the whole first draft and just sees what happens. That didn’t work for me! Kelly – I have also heard OneNote is good – Evernote is a free similar tool. I have always thought of myself as an impromptu writer but I have had a lot of days when ideas just don’t flow. I have a foot in both camps – I am both a planner and a panster – but the thing for me is, I can’t write down my plan. I read once a story can only be told once and I fear I’m afflicted with this. For me to sketch out on a piece of paper, or to put down ideas in a Word document, is telling the story and in doing so the magic is gone. I keep a rather comprehensive plan in my head. Someone I read recently said you have to know how your story is going to end – and that’s normally where I head. I know a few basic characters and something about them, what brings them together and how it ends. From there I sit and write and see what happens. NaNo for me was terrible last year although I clocked over 60,000 words. Although I knew where I wanted to go, it seemed I couldn’t get there. I think as writers we need to appreciate we all put words down in a different way, and say no way is better than any other – some are drawn to winging it and others need the structure of a plan. I’m eager, despite all of this, to at least give the snowflake method a go, given some of the snippets (OK large slabs of ‘stuff’) I have and see wher eit gets me – nothing ventured, nothing gained… right? Sci-fi and spec fic making pantsing an interesting experience. World building didn’t come to me as an extra-curricular writing activity I could engage in and with. Turns out I needed to ‘see’ the world through my characters eyes. My writing partner also found this. I’d love to know what goes on King’s head inbetween sitting… I’m certain mentally he’s planning or tapping into his characters world. If not planning, is that not rehearsing or downloading in advance. Maybe one day I will have the thrill of asking him that? This was a great post, and you handled it–as usual–in an informative and organized fashion. It suddenly struck me that the more I outline, or mind-map, the more I get done. Best wishes on your continued contributions. I stalled at NaNoWriMo last year BECAUSE I had a plan. I write YA and am currently writing a 6-books series. I was attempting to write Book 3 for NaNo. With the help of a co-worker, I outlined the first 6 chapters. And couldn’t get past Chapter 2! I’m a panster by nature. I might’ve done better had I done what I normally do. I’ve discovered since that I really don’t have the mind for outlining. If anything, I would do it just to keep all the characters straight. Freya – glad you enjoyed! Jodi – comprehensive plan in your head?! wow! I’m impressed – just proves how it is different for everyone. I have been struggling for a while to find the time to write. I’ve come to realize that I should be outlining, because then, it seems that it will be a lot easier to write. I am currently using Scrivener, and it seems to be the best software I’ve used for writing. Do you outline your blog posts as well? Hi Jens, I don’t actually outline my blog posts. I get ideas and create Drafts with headlines. Then I write 3-4 at a time mainly at the weekends. I am considering getting a Mac just so I can use Scrivener – everyone who uses it loves it! People noted a couple of software solutions above but I didn’t see any mention of Celtx (http://celtx.com/). This is an open source software tool (i.e., free and no license issues). And in addition to outlines, you can also draw pictures. OK, I know some people won’t like drawing pictures but take a gander. I’m a combo writer – I outline the big things, then let the in between stuff happen as it may. It keeps it fun and helps me remember where to end up. Thanks for all of your continued resources!